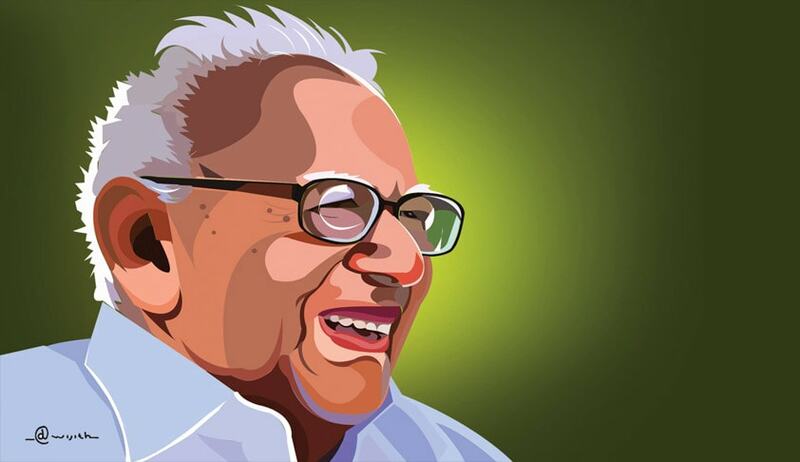 Remembering late Justice V R Krishna Iyer, his Sarada Krishna Sadgamaya Foundation for Law and Justice will conduct its first memorial law lecture at Kochi on 28th November, 2015. Supreme Court Judge, Hon’ble Mr Justice J. Chelameswar will deliver the law lecture at 10.30 AM at High Court, Kochi. The topic for the lecture is "Supreme Court- Structural and Jurisprudential Problems". Justice Iyer, the stalwart of Indian Judiciary left us in his 99th birth year, on 4th December, 2014. Sarada Krishna Sadgamaya Foundation is a charitable trust founded by Justice V R Krishna Iyer, 20 years back, to conduct law lectures and to promote other activities connected with legal education and legal literary works. After the demise of the Justice Iyer, the foundation has, recently reconstituted with board of trustees, headed by Justice T V Ramakrishnan, a former Judge of Kerala High Court and has decided to conduct memorial law lecture in the name of late Justice Iyer. Eminent jurist and former Judge of the Supreme Court, Justice K.T. Thomas is the Chief Patron of the foundation. Meanwhile, during the 99th birth celebration of Justice Krishna Iyer, the State Government has decided to construct a law library in honoring the contributions of Justice Iyer and 5 cents of land is allocated in Kochi, for this purpose. The foundation has decided to construct a memorial law library in the said land and approached the State Government with the proposal to complete the same within 2 years. This year onwards, the SKS Foundation will start a national level essay competition exclusively for lawyers and the winners will be awarded with Justice V.R. Krishna Iyer Memorial Literary Award.